Small Business is something that is in these days. You see pages like Etsy, Flipkart and Amazon giving chance to small sellers to showcase their talent and sell their stuff. They encourage people to do something on their own. Something you love doing, out of the box, non-conventional. Please do not mix up a startup with a small business. They both are very different with different characteristics and different needs. Here we are talking about a business where one has his/her own business with her own money, time and talent at stake. Generally, crafters have a small commercial business which they run mostly from their homes. 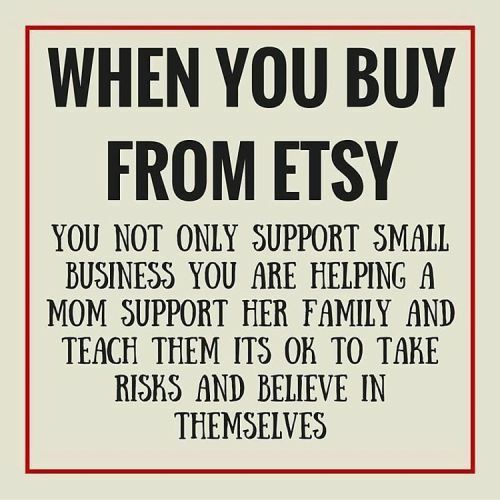 A small business like crochet, knitting, pottery or making polymer clay based products like stitch markers and Ergonomic Crochet hooks are on top on Etsy. Though there are people who love handmade stuff many of them think handmade is way too overpriced. Please note and remember that a craft is never overpriced. A person is charging the amount of money because he has that particular talent and of course so many years and patience of practicing and making a name in that particular business. The charge is for the hard work he has done in past and he will do to make the product that you have ordered. Of course materials and an artist’s time count too. So you may think it is overpriced but it is not. It depends from case to case for every different art and every different artist. So now for the ones who do not want to buy from a small business let us list down what are the benefits of buying from one. You will be surprised to know how you change their world for good. We have also listed benefits to the owner. Small businesses generally make things in a number of 10s or 20s. And in the case of crochet, it is only one most of the times. These are really very less in quantity as compared to things made in bulk by big brands through machines. Due to this you always get a different and unique thing which only hardly some other person will have. Not to mention, also each handmade item is unique in its own way. So actually there are very fewer chances that someone will have the exact same thing that you have. When someone has a small business he/she will always concentrate on giving a good quality product and will never ever compromise on that. WHY?? for the simple reason that for us it is majorly the word of mouth publicity that matters when it comes to marketing. If we provide a good quality product to you, you will go and tell others to get our products and the chain continues. But if we give you a cheap quality product you will warn people not to buy from us. Hence good quality and nice service is our focus point. You need the X product in Y colour you will get it. You say and you have it, another colour, other designs, shapes, sizes, fabric…you just need to tell us and we will serve you. Ask for any changes that you want and we will do it because it is our job and we will serve you. Customization is something we would love to do, but yes you need to have patience in case it is something that takes time. 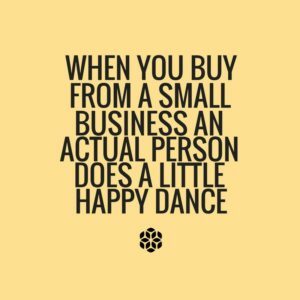 This is the best part of buying from a small business. You get to contact the maker directly and not some customer care executive who will take too much time to solve your problem and ultimately there is nothing you can do. In this case, you can actually talk or text a real person who will modify/change or provide a refund for your order. Again word of mouth publicity plays a big role here and hence you will get a good after sales service as well. You can tell your problems, concerns or even appreciate a real person. Being in this field, let me tell you it feels so good when someone appreciates your work. It is said that Small Businesses are engines that drive an economy. You should always support your local shops and artists to support your economy. 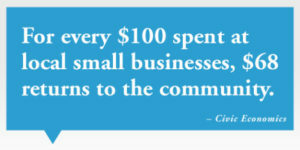 As per the economists every $100 spent at local businesses, $68 returns to the community. So your shopping will benefit the economy overall. Now, this point really makes sense. Just imagine you are buying a product from a big company where you know the CEO/Owner is someone big, has all that he wants in life, roams around in a chauffeur driven car and is basically Rich and Unkown to you. Will you, buying a factory manufactured good, make any difference to his lifestyle/mood/family??? NO. 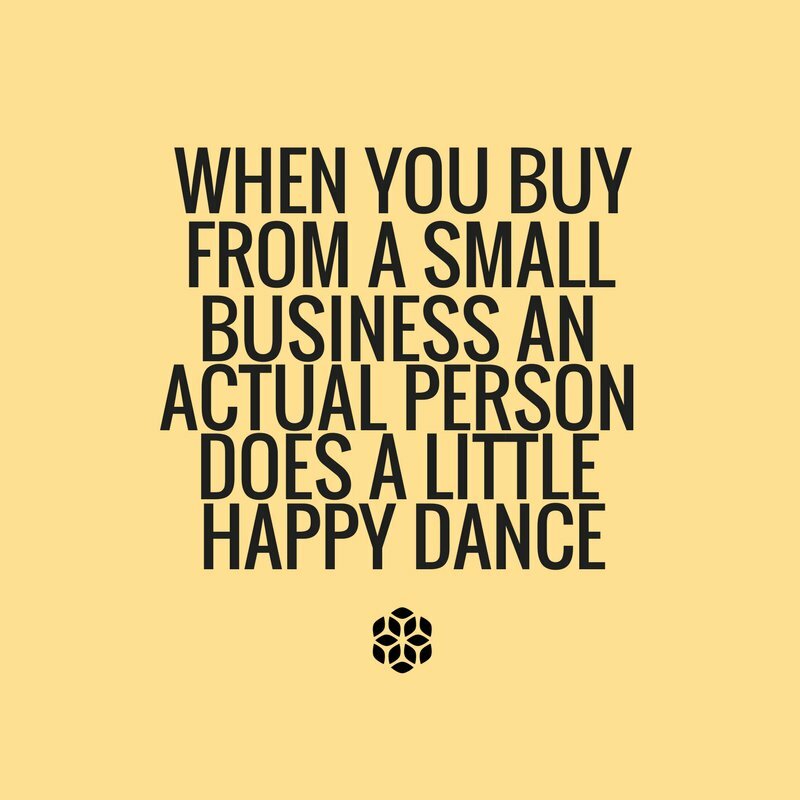 But instead, if you buy something handmade from a person who works hard to make a name and do something on their own, won’t it make a big difference. It will be a huge boost in their confidence and they will be so excited by just one order you give them. These photos from google will say it clearly. Yes and we are not shy to say this, this is what we do for a living. Even we have a family to take care of and this is the way we contribute to our family income. We are proud of our jobs and our earnings and this helps us to pay our bills and buy things like any other normal person does. So we believe this is it. We have listed benefits here but believe me, only we know how we run our small businesses. All owners will agree with me on this. We do not get any benefits that corporate employees get like insurance, allowances etc. Also, we will never get a pension (in some countries). We have to pay our own phone bills unlike corporate employees and much more. But we always look at the brighter side of it and believe in making people happy. Do you want to have any other lists of free patterns?? Do write to us for the same. You can visit us at our Facebook page and Instagram account where we share our crochet creations. You can also check out our Pinterest account.